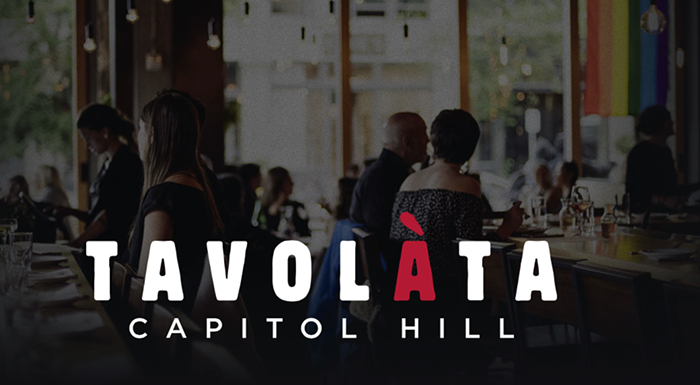 The second location of Tavolàta, the popular Belltown restaurant from prolific restaurateurs Ethan and Angela Stowell, this one on Capitol Hill. The Stowells aren’t breaking new ground here—the menu consists of well-known dishes such as rigatoni with spicy sausage and spaghetti with anchovy, garlic, chili, and mint, as well as hearty proteins and seasonal vegetables. Happy Hour Daily 5-7 pm, 10-11 pm ($5 beer, $6 wine by the glass, $7 cocktail specials, $8–$9 small plates, $10–$12 pasta specials, $7 zeppole).